He was baptized by monks. Both his Hungarian parents entered the United Sates (separately – they had not yet met) through Ellis Island in the first decade of the 20th century. His Mother came here all by herself when she was 16 years old, with $28 in her possession. His father had even less. His parents – my grandparents – eventually met, married, and had 4 children. My Dad was the youngest, born almost 10 years after his oldest sibling. And yes, where he grew up in Union, New Jersey, he was baptized by monks. He grew up on a farm of almost 90 acres, where my grandmother had a beautiful garden, a spring where we used a pail to fetch clean water, cows that Dad used to milk and manage to have fun at the same time by squirting near-by cats, and an outhouse that had rhubarb growing at the back. Things were a lot simpler then. Dad played high school football when they wore leather helmets and decided differing opinions mid-field. In his senior year, World War II raging, he joined the Navy on September 16, 1943, a day before his 18th birthday. His school gave him his diploma even though he only finished 2 weeks of his senior year. He was an A student, anyway. Basic training was in Great Lakes, Michigan, which must have been interesting for a farm boy who had always walked to school and had never been away from home. In addition, he joined the Navy not knowing how to swim. But there was a war on, and that was unimportant in the bigger scheme of things. After Basic, Dad was one of three sailors out of 500 chosen to go on to Texas A & M for training in what would become the nuclear submarine program, but he refused. Why refuse what was such a golden opportunity? Because this 18 year old man has recently met the 15 year old girl who was to become his wife. Before leaving for the war, this sailor in his dress blues went to a small park in Pennsylvania with a friend, where he saw a pretty young girl with black hair and dark eyes across the gazebo. When he asked his friend who the girl was and said he was going to marry her, his friend laughed and told him he’d never get past her mother – the protective, unsmiling woman beside her. We know how that turned out. Dad did get introduced, the now 16 year old girl wrote to him during the war, and they got married (Mom was 18, Dad was 21) when he returned home after the war was over. They were married in a beautiful church ceremony with money Dad had saved by selling his cigarette consignments while in the Navy, at a reception with beer, root beer, and sandwiches wrapped in waxed paper. Dad promised Mom he would buy her a new dress every week. Romantic – yes. Did he manage to keep his promise? No – which Mom never let him forget, but he did give her so much more. They knocked on doors in the garment district in New York City until, after mocking laughter and countless doors slammed in their faces, one Jewish jobber (Bless him…) took a chance on them and offered to send them work. Their business – manufacturing women’s’ and children’s’ blouses, had begun. With a stranger and a handshake. No contract, just their word. In a business relationship that lasted for more than 2 decades. We lived in a small apartment over the blouse mill. My parents employed almost 30 women and one man for 23 years. Many were single mothers who needed to put food on the table; others were disabled in some way (epileptic, partially sighted, learning disabled). The hardest workers made enough money that some of the men in their lives came to “have a talk with” my father, angrily asking why Dad allowed them to make more money than the man of the house. Dad simply explained that their women earned it. Enough said! 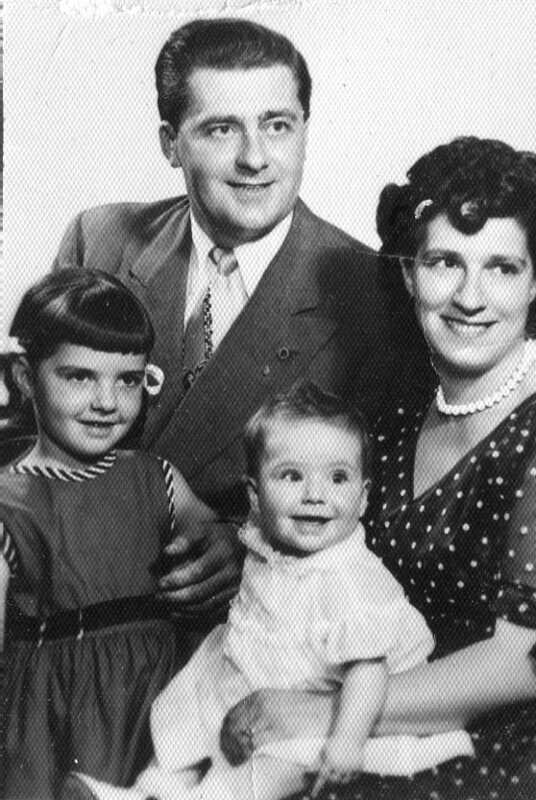 Earlier than most men, Dad treated women as his equal and respected anyone’s hard work and desire to get ahead. By the time my older sister and I were born, Dad was surrounded by women at work and home, so it’s a good thing he could survive in the midst of those hormone shifts! Memories of Mom and Dad getting up by 6 am and Dad still being downstairs at midnight, doing book work… He made smart investments and saved money, but we still managed to drive almost an hour away once or twice a month to try out the hamburgers at some new type of restaurant known as McDonald’s. When he’d fill up the station wagon’s tank with gas, sometimes we’d get a few ice cream squares, cut them in half, then share them between the four of us. Plus, Dad found that he could save a lot of money by repairing all of the machines in our factory by himself, so the smell of soldering and polishing wafting upstairs was common. As things settled down and he knew the factory was going to “make it,” Dad started to take us on actual family vacations to Atlantic City, New Jersey and Williamsburg, Virginia. Wow – that was the height of luxury to stay at a motel near-by. And to actually eat out every day??? Heaven. By the time my parents retired from their business, their travel had evolved into Spain, Italy and Greece. They always taught us that we needed to broaden our horizons and meet other people to better understand the world. They weren’t perfect parents – I’ve never met a perfect human being – but they were very good parents. Mom taught us that “ladies don’t drink, smoke or swear,” (those childhood messages stick with you, don’t they?) and to always wear clean underwear in case we were in a car accident. My sister and I couldn’t date until the magic age of 17, and I worried that no one would ask me out. (A few brave souls did). We were taught that if God gave us more (of anything – intelligence, money, opportunity, etc. ), then we were obligated to give more back (to society) in return. Dad had a temper (yelling, never physical) and could be stubborn, while Mom had a tough time forgetting if someone did her or anyone in her family wrong. But they were smart, hard-working, compassionate, generous people who believed in God and their country. The blouse factory was a family business, one that saw my sister and me working every summer, as well as in the evenings after we did our homework. We were a family unit, and my parents always gave good advice, with no agenda other than our best interests. 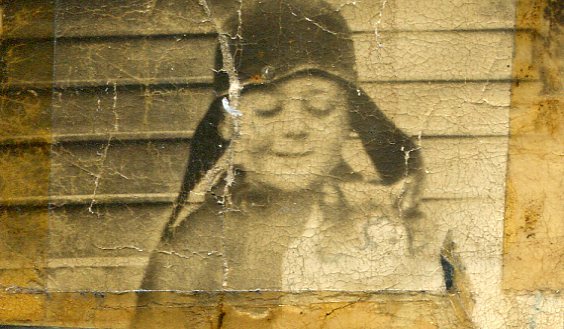 I asked my parents’ advice until the day each of them died. They never led me astray. They would also throw high school graduation parties for nieces or nephews if relatives didn’t have the money, buy someone a washer and dryer to make that person’s life easier, or loan money to those in need. Education was very important to both of them; they always said that education was something that no one could take away from you. My sister went to beauty school and obtained her real estate license; I went to undergrad, optometry school, then grad school (wow – that’s almost 12 years of higher education; one could question my sanity!). All 3 of their grandsons graduated from college. Their 4 great-grandchildren (another one is almost here) already have college funds started. 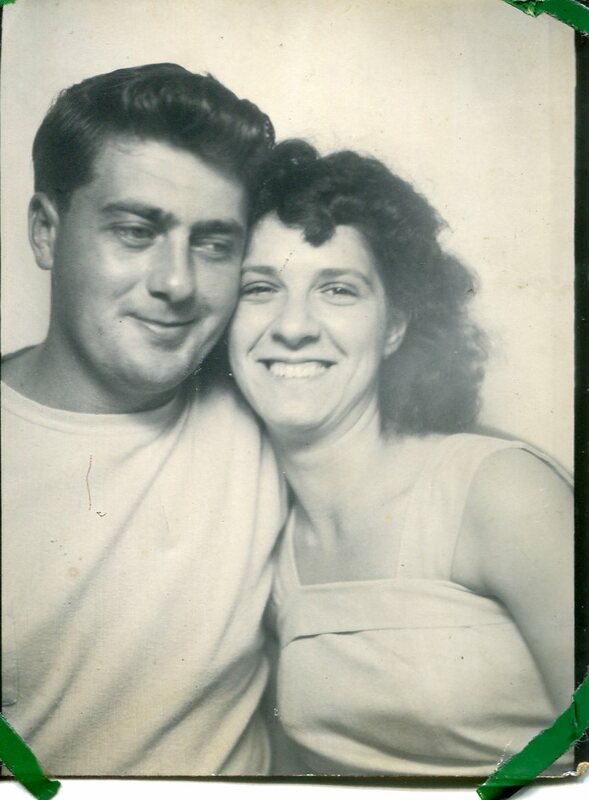 What a wonderful legacy Mom and Dad left behind… And I miss them terribly. Next week, another family will take possession of Mom and Dad’s house, another chapter closed. But I was able to give one last gift to Dad, after I held his hand in the driveway where he fell (see “Remembrance II”). One of the priests at the college where I worked – a member of the Congregation of Holy Cross – traveled almost 2 hours to say his funeral Mass. He never met Dad, but he knew him from almost 4 years of working with me, and he had the entire church crying about how important Dad’s wife, “girls,” grandsons and great-children were to him. And he allowed my sister and me to dress Dad’s casket with the pall and bless it with holy water as well. Three times – Dad’s favorite number, representing the Trinity. By the time the veterans played Taps at the cemetery and we were given the flag, our time together was done. He was finally with Mom…their bodies together in the mausoleum, their spirits together in another plane, at long last. Rest well. You did good. The world is a better place for having had you in it. And at the end of life, that’s all we can hope for. Thank you for all of the sacrifices, the guidance and the love. I hope to make you and Mom proud. This entry was posted in Parents and Parenting, Personal Musings, They Have Touched My Heart, Thursday Re-View and tagged father, life, musings. Bookmark the permalink. Thank you so much for reading this about Dad. This is incredibly moving, Theresa. What a beautiful tribute. I am but in the garden a lot this season, so not at my computer much. I miss too many posts…I will have more time when the snow flies-lol…hope you are doing well, too. Your parents were remarkable people:-) I still love the way you tell a story:-) the best!